Shakira is a four-year-old girl who requires a new home due to her owner’s ill health. She currently lives with two other dogs and a cat. Shakira loves her walks, but may require further lead training. 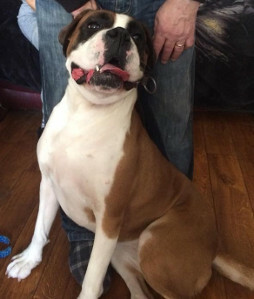 She is used to children, but due to her bouncy Boxer nature, would be best suited to a home with older children. 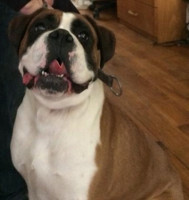 You have read the profile and are interested in rehoming Shakira. What happens next?